ethics, suits their budget and fits their agenda. inspire some of the most hard-hit people in our community. ‘I like the connection with nature, as cold as it is at the moment. 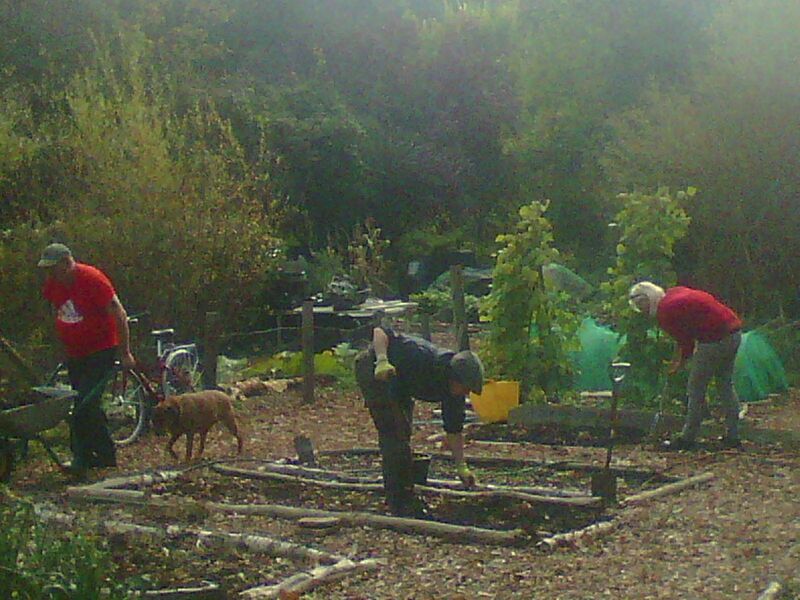 The Centre for Ecotherapy, at Stanmer Park, is a growing community that pools its resources to provide structured therapeutic gardening (Social and Therapeutic Horticulture) to adults and young people experiencing mental health issues, living with learning challenges and at risk of enduring isolation, in the community of Brighton and Hove. What is Social and Therapeutic Horticulture (STH)? 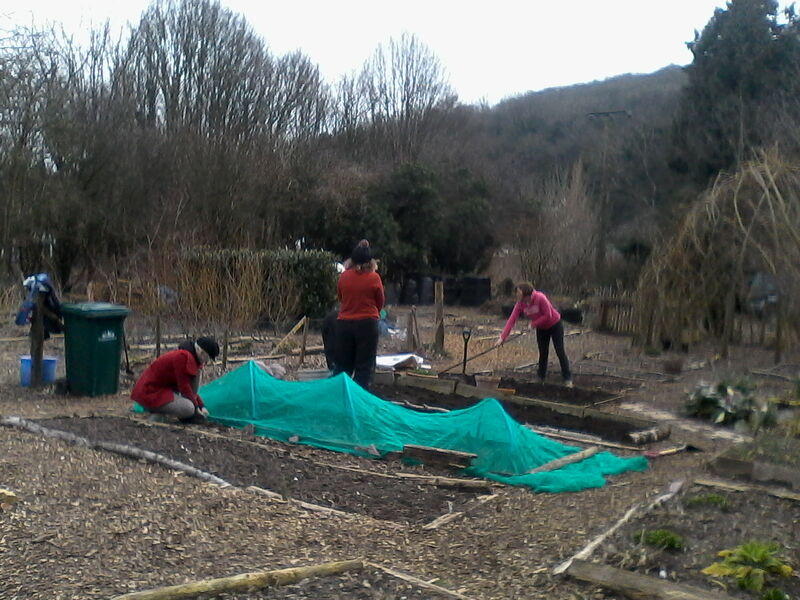 STH is horticultural activities specifically designed and clinically recognised as an effective means of working with people to help them re-build their confidence, reduce isolation and dismantle barriers to work and social opportunities that they may have been experiencing due to their personal life conditions. - Working at practical horticultural activities alongside others provides much needed physical activity, skills development and the opportunity to become part of a community again, with the friendship and peer support that stems from that. - Working in and with nature brings respite from anxiety and daily struggles, reduction of stress chemicals, a calming of the heart rate and a renewed sense of kinship with the natural world. Why does the Centre for Ecotherapy need my support? The Centre has been providing these services since 2014, helping more that 300 people, without regular statutory funding, through the passion, dedication and generosity of volunteers and supporters. We need funding now to increase and develop the work we do, to keep up with the growing number of people needing our services, to share the benefits of this remarkably straightforward means of improving the mental wellbeing of some of our most isolated citizens. We are asking for £7000. This will enable us to run our social and therapeutic horticulture programme for one full year, ensuring we continue to help and support potentially 150 more people who are being battered by austerity cuts, mental breakdown, unemployment and ill health. Whatever you can afford WILL help us help more people. Clients often say how they feel our programmes should be 'properly funded' meaning from the council or the NHS. This isn't yet possible...but you can make a massive difference for those and future clients by 'improperly' funding us, funding us from the heart! Every one of us at the Centre for Ecotherapy thanks you! Below you can read more about the Centre for Ecotherapy...but you don't have to...you can exit the page here...but please, donate a little something before you go! Hi my name is Jess Bayley. My journey to this moment started when, at the age of 24, in the final year of my degree, I had a breakdown. My mind collapsed and reason flew out the window...literally. My only means of coping with this traumatic event was to take my tent and rucksack and disappear into the hills submitting to Nature. I spent three weeks just watching and being, part of the sea, sky, trees and mountains. Slowly, reason came back and I became able to decipher my thoughts. I knew that life had to change. I spent the next 15 years working in horticulture, landscaping and construction across UK and Europe and growing two young men. As my sons reached secondary school age, I looked to become a teacher. 2 yrs in the education system, working with young people excluded from mainstream school, proved to me that I still did not function at my best in a classroom! I left the education system for horticulture again, to re-establish my gardening business and to study Social and Therapeutic Horticulture. 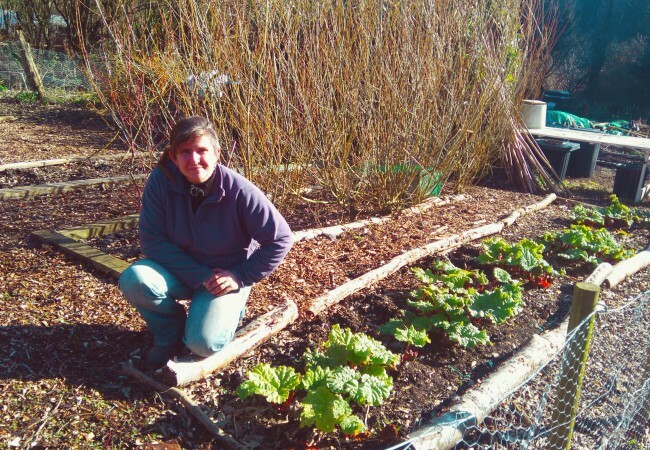 I spent the next three years working as a gardener, qualifying as a Social and Therapeutic Horticulture Practitioner and volunteering on the NHS therapeutic garden at Stanmer Park. When, suddenly, in 2014 the garden lost its funding, I knew I was perfectly placed to continue the work we had been doing there. 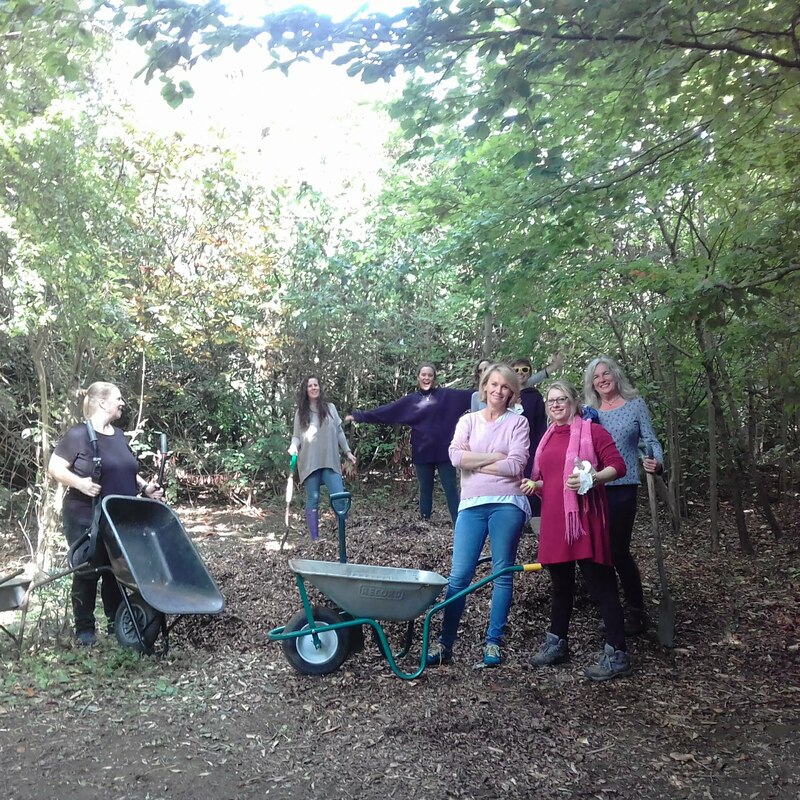 Established in April 2014, the ethos behind the Centre for Ecotherapy is that engaging people in enjoyable, social, practical activities in a nature-rich environment enables and encourages those individuals to reconnect, or become connected for the first time, with Nature and themselves, in a deep and long-lasting way. They learn new skills, or practice skills already learned, and share them with others. The social aspect of participating in the programme contributes to an improvement in self-confidence and self-worth that will go on to firmly underpin the next steps on their journey towards maintainable self-management. At a fundamental level, we are natural creatures, connected implicitly to the earth beneath our feet and the environment around us. Unbeknownst to us however, physical, psychological and emotional barriers come between us and our natural surroundings. When the going gets tough, many people have no knowledge that there is a free, accessible, resource that they can turn to in order to improve and enrich their lives. When someone spends time at the Centre for Ecotherapy they come to acknowledge that resource as a ‘tool’ for future use...’I feel calmer when I am outside in nature’ is something we hear time and time again. Since 2014, and those first sessions, the Centre for Ecotherapy has grown...in output, in its board of directors, in its volunteer team and in its reputation. We now provide a referral programme, used predominantly by NHS mental health services across the city; two weekly drop-in services for adults experiencing mental health issues, isolation and/or unemployment; a youth programme for young people facing challenges to gaining qualifications or employment or who are at risk of participating in criminal activity or self-harm. And we provide opportunities for students to gain experience and work placement for their community engagement modules. We support clients who have come through our programmes to take up volunteer roles within the service that continue to develop their abilities and enable them to share skills and experience to benefit others. HOW HAS THE CENTRE FINANCED ITSELF SO FAR? By applying for funding from different grant organisations throughout the year. Sadly, despite its clear and provable benefits, our Social and Therapeutic Horticulture programme does not yet receive statutory funding. Like Art Therapy 25 years ago, Social and Therapeutic Horticulture is yet to be fully, nationally, recognised and supported. This will change, in time, but currently practitioners like ourselves, in organisations like the Centre for Ecotherapy across the country, are striving to survive, believing passionately in the work we do, seeing the benefits daily, yet fighting tooth and claw to hang in there financially. Writing funding applications is laborious and excruciating at times and often unsuccessful. It is heart-wrenching to spend a month or two writing a bid, to be told you have not been successful. But we have to continue...the work we do, the change in peoples’ self-confidence and ability to reassert themselves in their own lives, is proof that Ecotherapy and Social and Therapeutic Horticulture are effective interventions. We have to keep going, stay afloat and keep delivering...the tide will turn and we will succeed. There are many powerful studies that conclusively show the effectiveness of what we are doing. Mind's evaluation of 130 ecotherapy projects (which include social and therapeutic horticulture programmes), Feel Better Outside, Feel Better Inside is one. 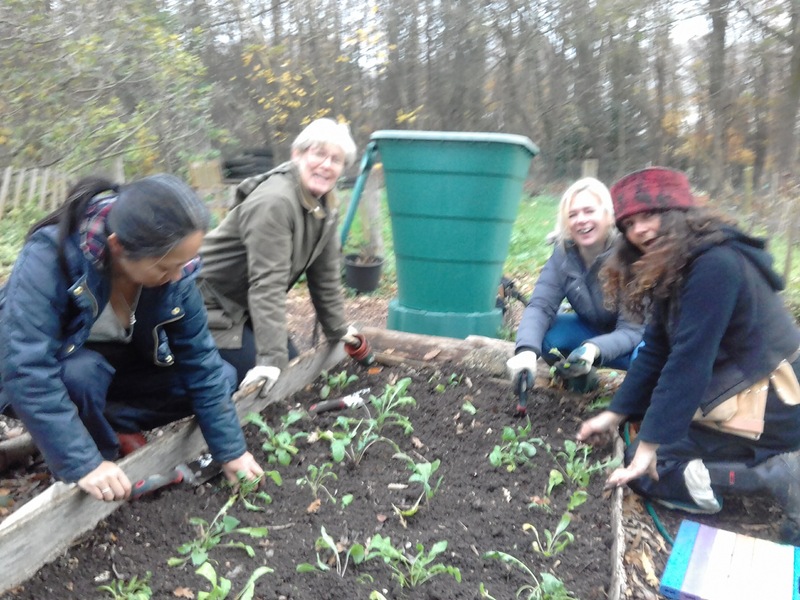 Staff and volunteers at the Centre for Ecotherapy know personally how people grow from attending therapeutic gardening sessions. They grow in confidence, in pride, in skills and knowledge; they grow in the ability to consider themselves valuable; they grow in the belief that they as an individual have something worth sharing. The importance of these changes is incontrovertible, as anyone who has experience of mental health issues will attest to. We were allowed to carefully enjoy ourselves as we wanted to. I felt free to behave how I wanted to without being labelled or feeling bad about myself. You too can help people improve their wellbeing. It is quite simple. Help us to help more people in Brighton, Hove and the surrounding areas. Help us to continue showing that Social and Therapeutic Horticulture is a winner! Help us to bring positive change to people’s lives that will last a lifetime by giving the benefit of Social and Therapeutic Horticulture to more people.  Thank you also to all the people who helped bring this campaign to life, giving feedback, suggestions and constructive criticism wherever necessary! Your help has been hugely appreciated! And lastly, a massive THANK YOU to Big Egg Films for their amazing support through the creation of this campaign and for the incredible video they put together as a donation to the work the Centre delivers. We couldn't have done it without you guys! For a donation of £60 or more you are invited to join us for a morning, engaging in the life-changing activities (including scrumptious lunch made from seasonal home-grown vegetables on the fire) that you are helping fund. You will receive an invitation and will be able to take a place at a session anytime within 2019. For a donation of anything between £1 and £20 the Centre's community will collectively send you their thanks. This will be received as a strong, warm feeling of community participation! For a donation of £20 or more, as well as a strong feeling of warmth and community participation, you will receive a Centre for Ecotherapy mug to impress your friends at a much needed tea or coffee break! For a donation of £30 or more as well as a strong feeling of warmth and community participation, you will receive a PAIR of Centre for Ecotherapy mugs for the pleasure of sharing at tea and coffee breaks! For a donation of £650 or more you will receive an invitation to a private Ecotherapy Day for yourself and up to 5 colleagues or members of your family. Immerse yourselves in the life-affirming experience of Ecotherapy and Social and Therapeutic Horticulture, understand what underpins the theory, and learn a new way of managing daily challenges by partnering up with Nature.